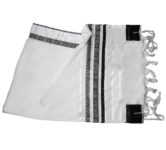 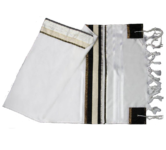 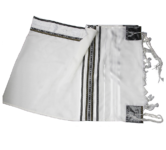 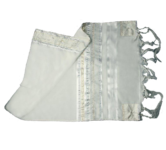 This strikingly elegant hand made tallit set (shawl, bag and kippa) is made of natural wool and bears the typical design elements for this religious piece of clothing. 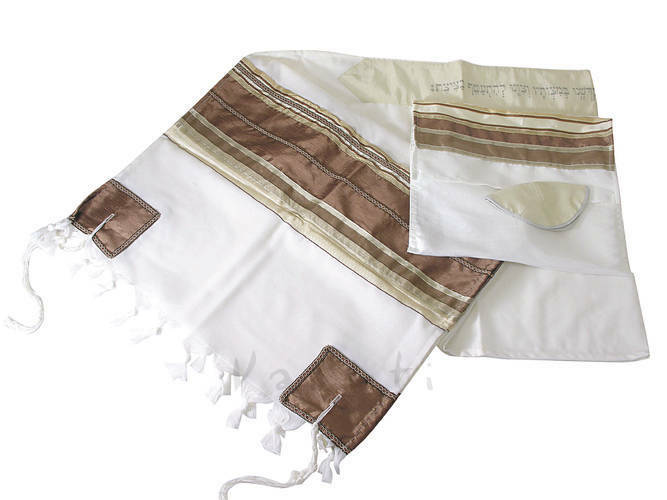 The combination of brown and bronze colors was carefully chosen because of the symbolism these chromatic tones have in Judaism, referring to the sacrifice alter made of acacia wood and overlaid with bronze. 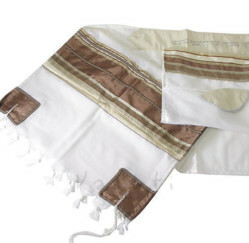 Thus, brown goes hand in hand with wood, while bronze stands for the pure truth that can resist any judgment.